‘life is and impossibility carried out. better perpetuate it. for this we have to love life, to love ourselves at least 15 minutes per day. at home, at work. a few exercises and a good position, elegant obviously.’ – expressed designer philippe starck about working out at the home gym office. 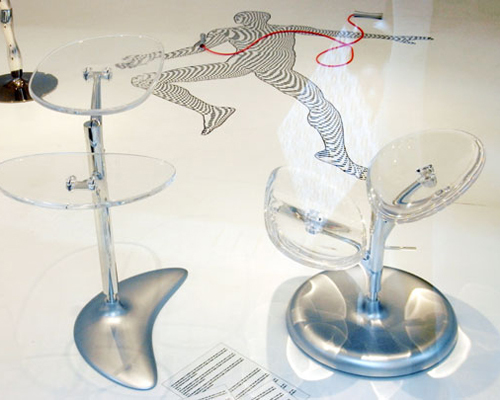 for this series, philippe starck designed a stylish office environment that combines fitness gadgets with furniture. Where is the dance pole Philippe?